The student protests in this country during the turbulent 1960s led by well-intentioned, idealistic young people, seem to have marked the death-throes of the American spirit. Directed as it was, unsuccessfully, against the “establishment” of materialistic, commercial and militaristic power that increasingly controlled this country, the effort sought in its blind way to breathe life into the spirit that had made this country remarkable. But blind it was, led by uneducated zealots who lacked a coherent plan of action, confused freedom with license, and targeted education which they barely understood and were convinced was turning into simply another face of the corporate corruption that was suffocating their country. In their reckless enthusiasm they decided that the core academic requirements at several of America’s leading universities were “irrelevant” and they bullied bewildered, frightened, and impotent professors and administrators into cutting and slashing those requirements. Other institutions were soon to follow. One of the first casualties was history, which was regarded by militant students as the least relevant of subjects for a new age they were convinced they could bring about by force of will and intimidation. Had they been inclined to read at all, they might have done well to heed the words of Aldous Huxley when, in Brave New World, he pointed out that the way the Directors of that bizarre world controlled their minions was by erasing history. One of Huxley’s slogans, lifted from Henry Ford, was “history is bunk.” By erasing and re-writing history those in power could control the minds of the population and redirect the nation and determine its future. In the end, of course, the students who led the protests in this country and who thought history irrelevant were themselves (inevitably?) co-opted by the corporations and eventually became narrow, ignorant Yuppies, running up huge credit card debt and worried more about making the payments on their Volvos and their condos than about the expiring soul of a nation they once claimed to love. Or they became politicians tied to corporate apron-strings thereby rendering them incapable of compromise and wise leadership. If there were any questions about the spiritual health of this country, the loss of hope, the rejection of religion, history, and science, and the abandoned expectations of viable political solutions provide clear answers. We do seem to be a vapid people, collecting our toys and worrying about how to pay for them, wandering lost in a maze of our own making, ignoring the serious problems around us as we follow our own personal agendas — and remaining ignorant of the history lessons that might well show us the way to a more promising future. I mentioned in a previous blog that the commonality of human experience is more important than the differences that are stressed in what we loosely call studies in “cultural diversity.” The best way to make this point, it seemed to me, is to quote from one of the books I have been reading by Japanese authors. I could choose many such passages, but one struck me as particularly apt since I am “crawling toward death,” as Lear would have it, and it is the Fall of the year. So I will quote at some length a reflection written by an elderly man I found in a novella by Junichiro Tanizaki titled The Reed Cutter. I have been somewhat immersed in the writings of such great Japanese authors as Kawabata, Tanizaki, Mishima, and, of late, the satirist Nakae Chomin. What all of these authors have in common, despite their many differences of style and approach, is a shared concern regarding the trauma Japan suffered in leaping from a Feudal age into the modern world in a very few years. While they knew that the modern world would bring benefits to the Japanese people, they also knew that something precious might be lost in the process. The parallel with our own history struck me and seemed worth reflecting upon. This is not to say that the history of the East exactly parallels that of the West. After all, our escape from the Feudal age was gradual and we did not undergo the sudden shock of alien ideas overnight. Nor did we suffer the devastation of more than five hundred bombing raids setting our world on fire, followed by the dropping of two Atom bombs that brought our nation to its collective knees. None the less, the concerns of these remarkable authors are the same ones many of us share in this hemisphere, especially the worry that in breaking with centuries-old traditions we may have thrown the baby out with the bath water. In this regard, the delightfully satirical book by Nakae Chomin, titled A Discourse by Three Drunkards on Government, is especially interesting. Chomin lived during the Meiji era, from 1868-1912, and was witness to the rapid changes that were taking place around him. In fact, he was responsible for many of them himself, given his fascination with ideas he picked up in France, especially, where he became an expert in European philosophy and political thought. He came to be known later as “the Japanese Rousseau.” He established a French academy in Japan, became an activist and briefly a member of the Japanese Parliament, and wrote copiously about enlightenment ideas and, especially, about the necessity for Japan to embrace democracy, if not all European ideas. He wrote at a time when a despotic government was not entirely convinced that democratic ideas were palatable and Chomin’s idea of universal suffrage was especially anathema to those in power who were suspicious of liberal thinkers like Chomin and those he wrote with and for. He was for a time expelled from his native city of Tokyo and was repeatedly silenced by a government that feared his keen wit and outspoken writings. His Discourse, especially, came under government scrutiny and as a result became extremely popular and quite effective in helping to bring about many of the changes that Chomin thought Japan needed to embrace. But, at the same time, Chomin was aware that these changes were diametrically opposed to a great many ancient Japanese traditions that he himself revered and realized were essential to Japan’s national identity. He was the son of a Samari warrior and was of two minds when it came to agitating for change in Japan — as his Discourse points out. In that book two protagonists, hosted by Master Nankai, who acts as something of a referee and (more importantly) keeps filling their empty cups, wage a war of words about the pros and cons of radical change in Japan. The Gentleman of Western Learning, a philosopher/idealist, embraces Western ideas and argues somewhat naively that linear progress is inevitable and of unqualified benefit to the nation as a whole. His opponent, the Champion of the East, is a conservative, hawkish character who embraces war as a manly activity and worries that Japanese culture is on the verge of annihilation at the hands of the West (especially Western materialism) and young Japanese activists. This concern is echoed in one of Mishima’s novels in which a group of young idealists plot the murder of several key Japanese capitalists. Chomin himself at times embraced both of these views, which is what makes the Discourse so compelling. It steers away from simple solutions to complex issues and reveals the heart of the dilemma that Japan faced at the time. As hinted, many of the issues raised in Chomin’s Discourse are also raised in the novels of the other authors I mentioned above, which simply demonstrates the truth that the poets see problems more clearly and sooner than the rest of us. And the fact that these thinkers wrestled so strenuously with real-world concerns that also trouble us in the West is remarkable. They saw, for example, that democracy was inevitable but that in its Western form it was inextricably bound to free-enterprise capitalism and that the ideas of economic and political freedom would become conflated and at times impossible to separate. In fact, like Chomin’s Gentleman, there are a great many so-called “conservative” thinkers in this country today who still maintain that freedom necessarily entails free-enterprise capitalism, while the stunning example of the Scandinavian countries demonstrates the fact that political freedom can be blended nicely with a socialistic economy. Indeed, recent studies show that the people in those countries are among the happiest on earth. Thus, the fact that a number of Japanese intellectuals wrestled with what we would like to call Western ideas and, especially, that they worried that the modern age would mark the end of traditional values such as honor and duty and replace them with the pursuit of pleasure and a preoccupation with creature comforts, while at the same time they embraced democratic ideas and worried about the dangers hidden within a materialistic world view, must give us pause. It would appear than many of the problems we face are also seriously pondered by people on the other side of the planet. And they seem to be caught up in the same quandaries we are. It is certain that they face the same problems of survival as we do on a planet that is under attack by greed and corruption and populated by increasing numbers of bellicose humans. In her new book, “The Smartest Kids in the World,” Amanda Ripley, an investigative journalist, tells the story of Tom, a high-school student from Gettysburg, Pennsylvania, who decides to spend his senior year in Wroclaw, Poland. Poland is a surprising educational success story: in the course of less than a decade, the country raised students’ test scores from significantly below average for the developed world to significantly above it; Polish kids now outscore American kids in math and science, even though Poland spends, on average, less than half as much per student as the United States does. One of the most striking differences between the high school Tom attended in Gettysburg and the one he ends up at in Wroclaw is that the latter has no football team, or, for that matter, teams of any kind. I thought about Tom the other day, while I was watching my fourteen-year-old twins play soccer. It was the day before school began, but they had already been going to J.V. soccer practice two hours a day for nearly two weeks. I wondered what would have happened if their math teacher had tried to call them in two weeks before school started to hold two-hour drill sessions. My sons would have been livid, as would every other kid in their class. Perhaps even more significant, I suspect that parents would have complained. What was the math teacher doing, trying to ruin the kids’ summer? And why should they have to make a special trip to the high school so their kids could study trig identities? Why does this situation continue? Well, for one thing, kids like it. My sons love everything about soccer: the practices, which are held rain or shine; the games, from which they sometimes do not return until nine o’clock at night; the sweaty socks and the cleats and the jerseys—one color for home games and another for away. “Even wealthy American parents didn’t care about math as much as football,” Ripley concluded. One of the ironies of the situation is that sports reveal what is possible. American kids’ performance on the field shows just how well they can do when expectations are high and they put their minds to it. It’s too bad that their test scores show the same thing. One of the catch words in institutions of higher education these days is “diversity.” What is meant by this word is “cultural diversity,” an attempt to assure students that they are receiving a broad education and that they are being introduced to a variety of world views. The idea is that in doing this they will realize that theirs is only one of a great many ways to look at the world. It is a worthy objective, even though, according to recent studies, the diversity appears to focus on feminism and very little else — despite the fact that women, as far as I know, do not constitute a separate “culture.” It is hardly adequate to look in some depth at a single minority viewpoint in at attempt to broaden the student’s awareness of the complex world in which he or she lives, though it is certainly a step in the right direction. In any event, there is no doubt that there are indeed a great many ways of looking at our common world and any attempt to broaden the narrow strictures of the average student’s world view is deserving of applause. Cultural differences are real and worth noting. I know, for example, when I watch my favorite British mysteries I miss a great deal in the way of nuance, “inside jokes,” colloquialisms, and terms that the Brits use with great familiarity which are nearly foreign to me. Humor seems especially culture-bound. In reading a translation of a book written in a foreign language, again, I realize that I miss a great deal of the subtleties that are picked up by someone reading the same book in the language in which it was written. But one can dwell too long and hard on the differences and miss the all-important similarities. 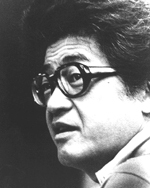 For example, while reading a novel by Japanese novelist Kobo Abe — generally regarded as one of Japan’s greatest modern writers — it is inevitable that I will miss a great deal since I do not read Japanese, have never visited the country, and must rely on a translator to give me a peek into what the fuss is all about. But at the same time, what impresses me most after all is said and done is the universality of human experience: Abe is writing about other human beings (albeit fictional characters) who are just like you and me. In fact, I am told on the dust jacket that Abe’s novel, Secret Rendezvous, “reads as if it were a collaborative effort of Hieronymus Bosch, Franz Kafka, and Mel Brooks” — all Westerners. It seems to me this is of vital importance in the discussion about cultural diversity: we differ from one another in so many ways but in most important respects we are really all alike. The differences are exaggerated by advocates of cultural diversity at the cost of recognizing the all-important similarity of human experience and the fact that we share a common human nature. In the end, therefore, I would come down on the side of intellectual diversity over cultural diversity, making sure students are aware of different ways of thinking about their world as opposed to simply cataloging cultural differences. In fact, I might go so far as to say that the cultural differences are trivial and much less important than the similarities. The fact that we can communicate with one another — even in translation — is of central importance, especially with regard to the education of young minds. Intellectual diversity, in this regard, is of major importance in education, making sure the student is not simply becoming indoctrinated into one way of seeing things (the professor’s way, generally), but becoming aware that similar problems can be approached in many ways and that the same rules of logic and inference apply across the board. It is ironic that defenders of cultural diversity have attacked Western intellectual tradition as a system of ideas put forward by “dead, white European males,” when, in fact, there is no better arena for conflicting ideas — that is, intellectual diversity. And it is precisely this sort of diversity that engenders thought, not random information about varieties of cultural experience. Let’s not stress differences in cultural viewpoint to the extent that we ignore essential human similarities. And while we are at it, let’s assure that the student is being immersed in a variety of conflicting ideas: education is less about information than it is about engaging with some of the best minds that ever set pen to paper — especially those who disagreed with one another about practically everything.